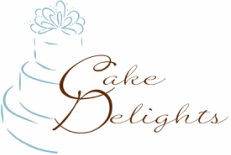 All of our cakes are made from original scratch recipes using the freshest of ingredients. We prefer not to use artificial flavorings, so you won't find our lemon cake bright yellow or orange creamsicle bright orange--why alter with what nature has perfected? Vanilla Chocolate Chip: Original vanilla cake speckled with mini chocolate chips! 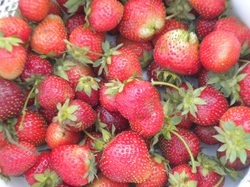 Fresh Strawberry: Only fresh strawberries make it into this customer favorite! Swiss Cake Roll: Iced in vanilla buttercream, tastes like the childhood classic! Key Lime: The taste of summer with Nellie and Joe's! Cosmopolitan: Cranberry juice and orange zest for lovers of the original drink! Orange Creamsicle: Vibrant cake with orange zest and fresh-squeezed juice! Chocolate Mocha: Moist chocolate cake with a little kick of coffee!